It's so strange keeping up with blogging, but I'm enjoying it so much! I feel like I've finally got the balance right and I can put a lot more effort into my blog, which is nice. I just think I need to move down to London asap so I can go to all the fab events I wish I could attend, damn train prices! I'm so pleased you all liked yesterday's post on love. I often debate posting long (sometimes rambly) posts with my thoughts on things but for some reason I'm always a bit put off - not sure if it's because I feel like some people don't always read posts, but just look at the pictures? I'll admit, I even do it sometimes. But I was astounded by the response and I'm very pleased all my readers seem to enjoy the written word as much as I do! I love writing and I was so flattered with how many positive comments I received, so thank you! 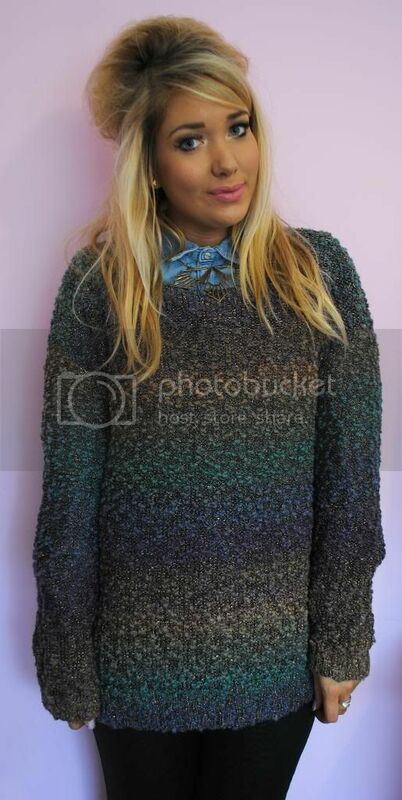 I bought this jumper a couple of weeks ago when I took something to be exchanged and I loooove it. It's really unusual and I love the colours on it so much. It also has a gorgeous sparkle running all the way through it which is lovely, very festive (who's getting excited about Christmas?! I am!!) and it's really snuggly too. The neck on it shows off whatever you're wearing underneath so I quite like pairing it with a shirt, so you can see the collar poking out. I think it'll look really cute with embellished collars and stuff, or with short necklaces like the one I've paired it with here. 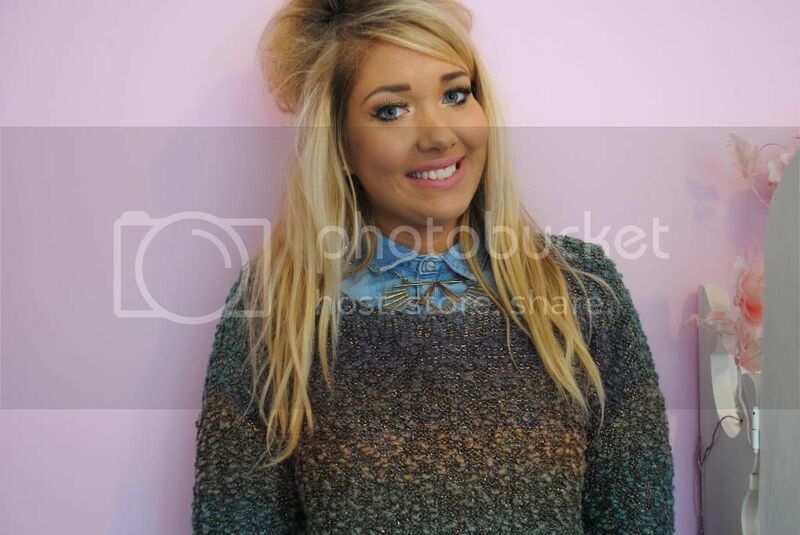 The jumper was about £46 I think, so not the cheapest, but I've seen some similar in Primark too! Hope everyone is having a lovely week, I'm kind of looking forward to/dreading the prospect of snow at the end of the week!